Traditionally-made signs typically use lettering and graphics that are applied to the surface of a substrate such as plastic, metal or wood. With permanent-signs.com, our graphics are actually inlayed into a DuPont Corian surface. Paint-meets-substrate combinations are naturally vulnerable to damage from external conditions like moisture, sunlight, climate, animals, and more. permanent-signs.com’s computer-driven, hand-finished process uniquely integrates the graphics and lettering into the Corian surface. Water No adverse effect Mold and mildew grow in the surface. Swells and rots. Substrate warps and cracks. Applied graphics may delaminate. Rust and corrosion on surface and/or at fasteners. Sunlight No adverse effect No adverse effect Overdries wood and causes splitting. Applied graphics may fade. Applied paint and/or vinyl fade and/or wear away. Airborne Contaminants / Road Salt No adverse effect Dirt collects in recessed graphic areas, then streaks the sign face. Dirt collects in recessed graphic areas, then streaks the sign face. Applied paint and/or vinyl fade and/or wear away. Freeze / Thaw No adverse effect Potential for erosion (spalling) of the face from expansion/contraction. Expansion of absorbed moisture results in warping and/or splitting. Applied graphics may delaminate. Applied paint and/or vinyl may delaminate. Bird Droppings No adverse effect Staining occurs and is uncleanable. Porous stone is permanently damaged. Very difficult to clean recessed graphics or textured areas. Somewhat cleanable, but with potential to damage applied graphics with tools and/or chemicals. 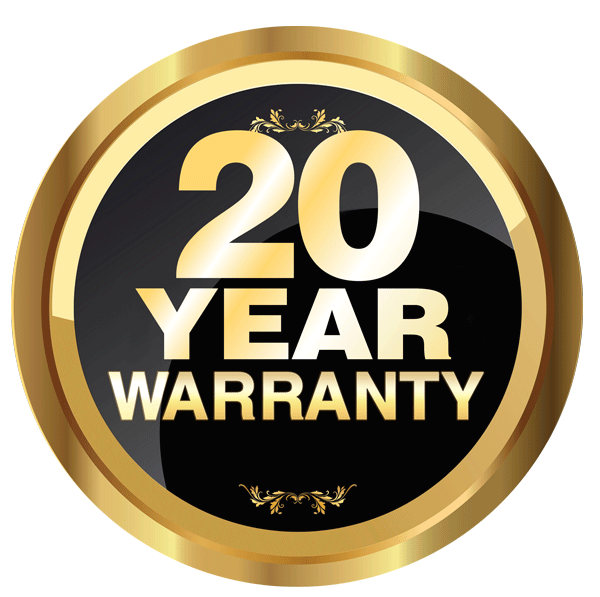 Cleanable, but with potential to damage applied graphics with tools and/or chemicals. 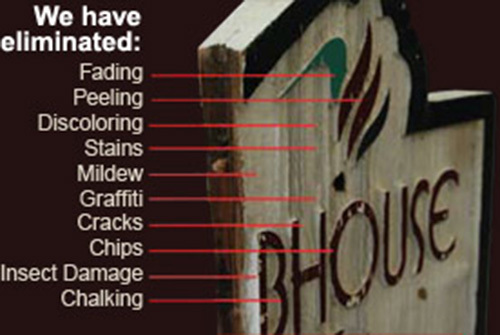 Paint, Stains, Markers No adverse effect Contaminants can be permanently absorbed into pores in the substrate. “Cleaning” requires physical removal of the sign surface. Contaminants can be permanently absorbed into pores in the substrate. “Cleaning” requires physical removal of the sign surface. Possibly cleanable, but with potential to damage applied graphics with tools and/or chemicals. Scratches Very scratch resistant. Scratches can be buffed out without affecting the graphics. Difficult to scratch, but very difficult to repair. Very easily scratched, and difficult to repair. Scratches expose vulnerable core materials to weathering. Easy to scratch base materials and/or applied graphics. Chewing Gum No adverse effect Difficult to remove from recessed areas and/or porous surfaces. Almost impossible to remove from recessad graphics or textured surfaces. Cleanable, but with potential to damage applied graphics with tools and/or chemicals.